The first Workstation-as-a-Service cloud offering engineered for content creators that demand performance in living detail. Cirrascale’s Workstation-as-a-Service (WaaS) cloud offerings are engineered to accelerate your media and entertainment creation and rendering tasks. Unlike other service providers who virtualize your experience, Cirrascale gives you direct-access, dedicated hardware. You’ll get all the content creation performance you expect from a state-of-the-art workstation, delivered from the cloud. Whether your on-site in a remote location, in your home office, or on-location in a studio, our dedicated cloud workstations give you the ultimate freedom to access your applications and data, breaking the chain between the desk and the desktop. 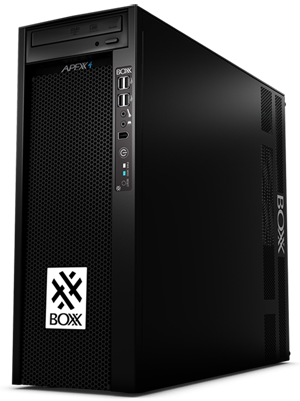 Powered by workstations from BOXX Technologies, the trusted choice of creative professionals worldwide, our WaaS cloud offerings deliver the highest performance with state-of-the-art components from Intel, AMD, and NVIDIA. You can have confidence knowing you’ll be receiving rock-solid performance delivered directly to you as a dedicated resource. Perfectly suited for project-based deployments, customers can eliminate the overspending that comes from the over-purchasing of hardware for last minute content creation needs. CFO and IT Managers can more easily attribute spends to the right cost centers. Use of our WaaS cloud-based solutions make it possible to turn IT operations into an operational expense (OpEx), as opposed to capital expense (CapEx), removing the need for any hefty upfront investments and replacing them with predictable monthly fees. Cirrascale provides a secure cloud environment (SSAE-16 / ISAE SOC1 Type 2 and SOC2 Type 2) and uses Tera2 PCoIP Zero Clients which are ultra-secure, easy to manage devices that offer a rich user experience. You pay a flat-rate each month with no surprise charges allowing you to easily plan budgets and never worry about overspending. Your CFO will call you a hero. Cirrascale doesn’t charge any ingress or egress fees on transferring data in and out of our cloud service. We respect the fact that using your workstation means using data. Get the full performance of your workstation with our direct, dedicated, non-virtualized WaaS cloud offering. You’ll never share resources with others so you get the full performance of your machine. Cirrascale Cloud Services is looking for qualified content creators to enable customers across all industries to harness the full potential of their platform. If you would like to see if you qualify for this free 7-day trial to test our Workstation-as-a-Service offering, complete the form below and we'll touch base with you within 48 hours. Systems are limited, so it is first come, first served, but we'll do everything we can to help you get started quickly. * Connection client not included. Zero Clients are available starting at $79 per month. Need A Trial? Let Us Know. *Trials for our Workstation as a Service platforms are granted on a first come, first served basis for companies that qualify and are actively looking for WaaS cloud solutions. Cirrascale grants trials at its own discretion.